Estate planning and a Florida Pet Trust can be a great field of law because it allows many of our top clients to plan for their futures and beyond. Through estate planning, we can reduce your taxes, protect your assets, and help you to leave a lasting legacy well beyond your life. However, estate planning often fails to keep up with the times. Pets are some of the most important members of a person’s family but are often left out of a person’s estate plan. Many estate plans in Florida contain documents such as revocable trusts to avoid probate, or an irrevocable trust to help protect assets. Many Florida estate plans include advanced directives, which tell the court what life-saving procedures you may or may not want. What most estate plans lack is a plan for what happens to your pets when you pass away or become incompetent. Pets like dogs or cats often become part of the family much like people. Studies show that 73 percent of dog owners, as well as over 60 percent of cat owners, perceive their pets to be like children or other close family members. Until recently the Florida trust code did not allow for any estate planning mechanism that ensured pets were taken care of after death. The legislature has since amended the law to allow for pet trusts under Florida Statute section 737.116. Under the old law, pet trusts were allowed but practically unenforceable. The testators could create specific bequests for their best in the wills and trusts, but these arrangements were viewed as “honorary.” This meant the Florida courts could not enforce the provisions of the trust if the pet’s caretakers used the money for themselves rather than the pet. The court reasoned that the pet was not actually a person, so therefore the court could not consider the animal to be a beneficiary. The courts also held estate planning for pets often violated the rule against perpetuities. This rule is a complicated rule that states that an interest in property must vest no later than 21 years after the death of a measuring life. The courts formally held a pet could not be used as a measuring life, so any bequest could violate the rule. Now pet owners can establish a pet trust to provide for pets during the pet’s lifetime. The trusts can provide for care and maintenance of the pet. If the trust needs to care for more than one animal, then trust can exist until the last animal passes away. The pet trust may also designate who should serve as trustee, or if a court should appoint a trustee. Some animals may live for 30-50 years after we are gone and without the resources and instructions necessary to provide for them, their chance of having a happy life is reduced. In a Florida Pet Trust, the trustee takes possession of the pet. He or she personally cares for the animal and uses the trust funds to pay for the expenses. These expenses may be things like vet appointments, dog food, and other care typically needed by pets. The Florida Pet Trust only allows for animals living during the settlor’s life to be named as beneficiaries. This means an animal cannot be added to the pet trust after the settlor dies. Once there are no more remaining pets in the trust, then any remaining funds are distributed according to the trust document. These remaining funds can go to other beneficiaries or a charity of the settlor’s choice. The Florida Pet Trust is gaining popularity with people who have animals that will outlive the settlor and for those who want their pets taken care of without placing a burden on the caretakers. It is important to determine if you want to fund the trust while you are alive or upon your death. 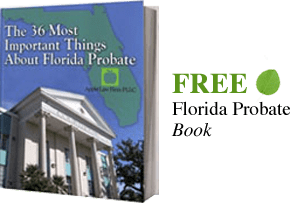 If the Florida Pet Trust will be funded upon your death it can be created with provisions added to your Florida Will or Florida Revocable Trust and is called a testamentary pet trust. Pet trusts can be expensive to maintain so it is important to consider the amount of assets you plan to put in the trust and the associated expenses. Often for domesticated pets, it may make sense to do a traditional bequest with a trusted individual. If you would like more information on Florida Pet Trust or to create a Pet Trust in Jacksonville or other areas of Florida, CONTACT our Florida Pet Trust Lawyers by email or call us at 904-685-1200 to discuss your situation today. To read more about Florida Pet Trusts see the Florida Estate Planning Lawyer Blog.